June 25, 2018 11:30 a.m. - 1 p.m. Georgetown University Law Center, McDonough Hall Room 202, 600 New Jersey Ave NW, Washington, D.C. Here's the live stream of our conversation on Free College. Should the first two years of college be offered free to all students just as a K-12 education is now? Or does the push for "free college" threaten to increase federal and state costs without targeting the students who need the most help? 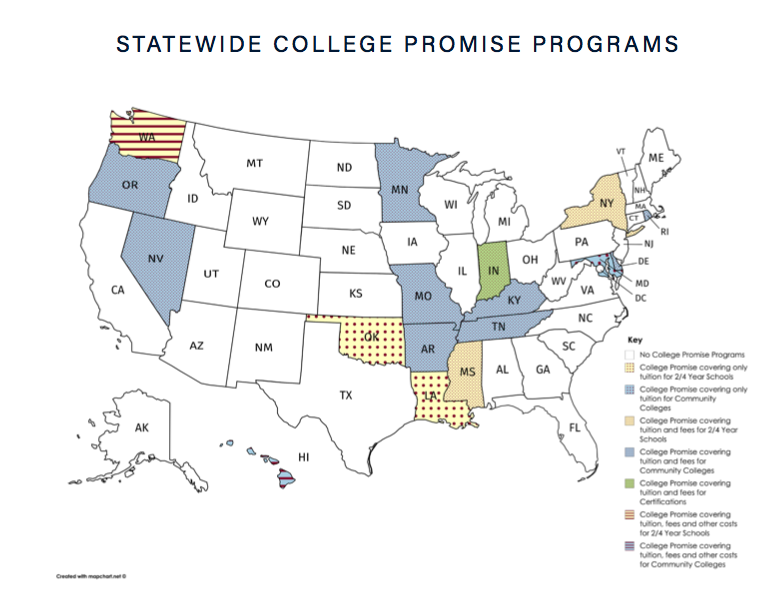 With legislation before Congress, 17 states offering statewide "college promise" programs and more than 200 local programs nationwide, we convented a panel of experts to discuss the benefits and pitfalls of the government picking up the tab for students attending college. Martha Kanter, Executive Director, College Promise Campaign, and U.S. Under Secretary of Education under President Barack Obama. Harry J. Holzer, LaFarge SJ Professor of Public Policy at the McCourt School of Public Policy at Georgetown, and Chief Economist for the U.S. Department of Labor under President Bill Clinton. Jen Mishory, Senior Fellow, The Century Foundation, and author of The Future of Statewide College Promise Programs.